Solar panels are a long-term investment, which is why it’s important to thoroughly vet providers to find the right one for your needs. But how do you choose from the dozens of solar providers? 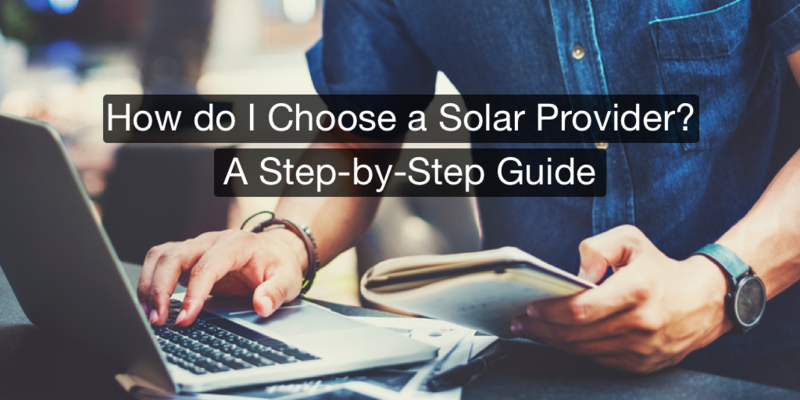 If you’re feeling overwhelmed by your options or aren’t sure where to start, follow this helpful step-by-step guide to find the right solar provider for you. The easiest way to compare solar providers is to create a document that includes the details of each company, all on one page. Using an Excel spreadsheet, a Word document, or a sheet of paper and a pen, compile a list of available solar providers near you. Include both small, local businesses and national companies that service your state. To start your list, run a Google search for “solar provider,” followed by your city or state. You may also want to include a few of our top five solar panel companies on your list if they work in your area. Once you have a solid list of companies, you can start to fill in the document with other information you compile over the next few steps. When comparing your provider options, it’s important to be aware of the differences between a local business and a national company. Typically speaking, larger companies are more established and can offer more comprehensive warranties. They may also offer more payment options and maintenance services, such as panel cleaning. On the other hand, local companies are likely to be more familiar with your state’s rebates and county permitting requirements. And as they service fewer locations and customers, the process may move faster, potentially allowing you to make appointments for pricing quotes and installation sooner. There’s no right or wrong answer on this step—just consider whether a small or large company makes a difference for your needs. Note on your document which companies fall into each category. In most cases, experience is more important than company size. Look through company websites to find out how long each has been in business. See if any advertise how many solar panel systems they’ve installed, and consider the types of roofing each company has worked with successfully in the past. Along with experience, note each company’s credentials in your comparison document. Most companies advertise certifications online, but you can call the company to ask about credentials if you can’t find anything on the company site. Beyond state-required licensing, look for companies that have certification from the North American Board of Certified Energy Practitioners (NABCEP). The NABCEP is a nationally-recognized certification program known as the “gold standard” for installation and sales. A PV Installation Professional credential from the NABCEP means the installers for that company have met high standards of qualifications and undergone extensive training. All the certifications and experience in the world won’t matter as much if the company doesn’t treat its customers well. From attaining the correct permits to choosing the size of your solar array to applying for federal and state tax credits, going solar is complicated. You want to work with a company that is approachable and helpful. Search for customer reviews on websites like Yelp and the Better Business Bureau. If you don’t find any, or only find a few, contact the company and ask for references. Most will provide two or three references upon request. Use your document to take note of the general impressions you get from the reviews you find—this will make it easy to remember which concerns you want to address with a company before proceeding. 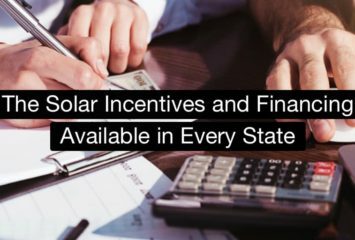 There are a few different ways to finance solar panels, including paying cash, taking out a loan, leasing, or entering a power purchase agreement (PPA). You’ll want to find out which options each company on your list offers and make note of it. If you already know how you want to finance your panels, make sure any company you consider offers that option. 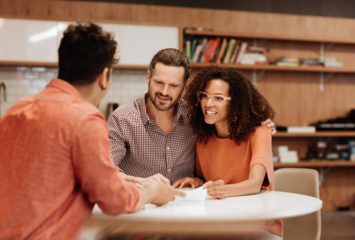 If you aren’t sure which choice makes the most sense for your circumstances, focus on companies that provide multiple financing methods so you can consult with them to make your decision. If a company on your list doesn’t offer your desired financing option, cross it off. Based on this information you’ve compiled for each company, narrow down your list to five or so top picks. These will be the companies you call to request a custom quote. Most companies will schedule an appointment to see your property so they can accurately calculate prices. During this time, ask any questions still left unanswered, including the following. Do you handle the permits my city and state require? Based on my monthly energy usage, how many panels do I need? Do you offer a warranty, and if so, what’s included? What’s the process like if I wanted to take the next steps with your company? After speaking with each company, did any one of them stand out as a clear winner? If so, congratulations—you found your solar provider! If not, you may want to make your decision based on whichever factor is most important to you, whether that’s price, customer ratings, or the level of service they offer. You can also use our free solar quote tool to learn more about potential options in your area. Let us know if this guide helped you find your solar provider, or share your top picks for solar providers! Thank you for your insight into choosing the right solar company. I especially appreciate your comments on choosing whether to go with a local company of a national. I will keep this in mind while choosing a company to install solar panels for me in the future.